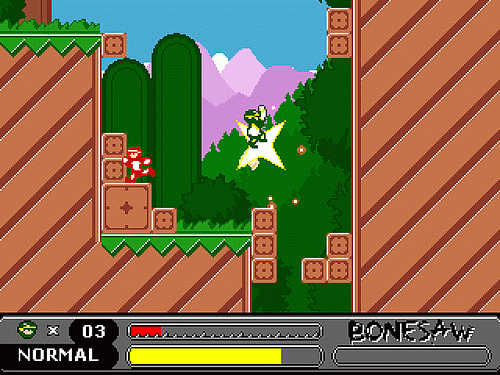 Bonesaw is an indepedent 2d side-scrolling game that mixes elements from puzzle, beat-em-up, and platforming genres. The player takes on the role of a lone Golden Knight who must save the rest of the team from an evil Referee who has taken them hostage in his interdimensional penalty box... in space. With over 30 levels, a ton of collectables, and some side things to do, this game will keep you going for quite a while. How to extract: Download the RAR package and extract to a folder of your choice. Launch bonesaw.exe. I tried this, and it's surprisingly fun!